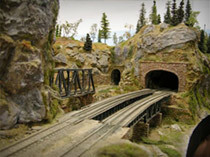 Find out how the experts build professional model railway track plans and scenery. 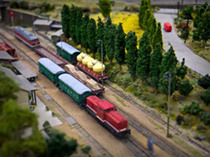 Get inside ideas and handy tips on designing and building model train railways from recognised leading expert and best selling author Robert Anderson. For beginners and experienced model train and railroad enthusiasts - you will find this guide covers everything you need to know about electric trains, choosing scale and track gauge, planning railroad layouts, scenery construction techniques and tips to solving and avoiding problems. 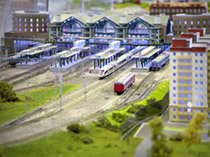 Impress your friends with your new gained expertise - build the perfect model railway that will be the envy of your fellow modellers. "I have downloaded 'Model Train Help' and am amazed at the numerous items that you cover and at a level that all can relate to and understand. 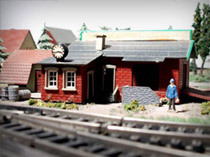 Your book is an outstanding contribution to the world of model railroading and is worth much more than what you presently charge. It is priceless." "Hi Robert. Your model train railroad guide was the best money I have spent on building my layout, and I'm only to chapter 4. Thanks again." "Excellent model railway book with lots of helpful references. You saved me hours of wasted time searching the net." "Mr Anderson I will be recommending your book to visitors to my stand at the next train show. It's comprehensive and easy to understand for everyone." "I just made some realistic trees for my RR layout following the ideas in your pdf book. I like the step by step way you show details. You made it easy. Thanx"
— Jamie W, NSW, Australia. Judge for yourself - Get a free selection of pages from my best selling Model Trains and Railroads pdf book now! The free sample pages and the Model Train Help pdf book are not available as hard or soft cover printed books. They are delivered by downloadable PDF file(s) directly to your computer. No postage to pay. No waiting for mail to arrive! 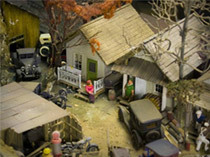 Copyright© 2008 Robert Anderson, Model Railroad Experts, All Rights Reserved.